Sally started work with us in 2015 and soon became an invaluable team member. 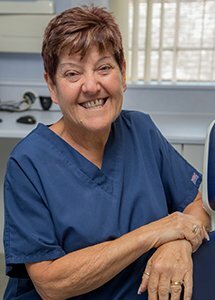 Sally and her colleague work tirelessly to ensure all the instruments required are processed to the highest standard and are instrumental to the smooth running of our surgeries. In her spare time, Sally enjoys spending time with her children, grandchildren and great grandchild.